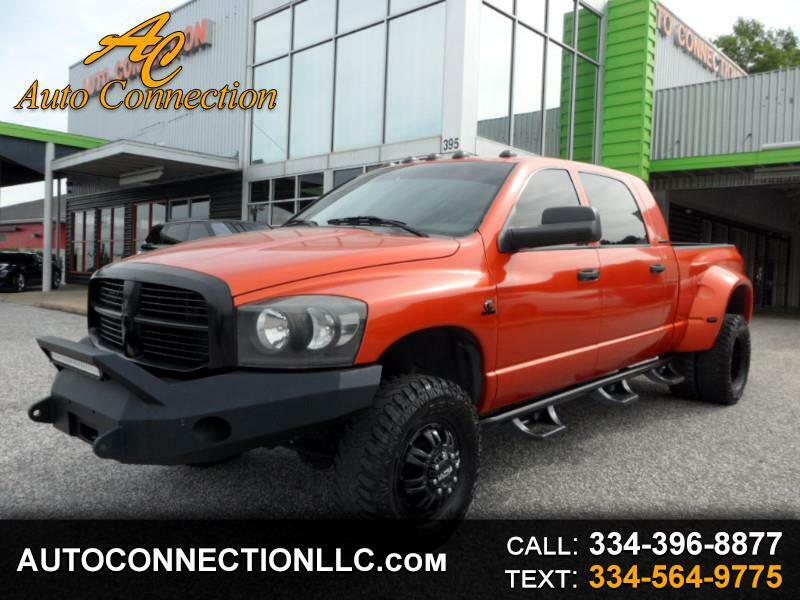 2007 Dodge Ram 3500 SLT 4wd Mega Cab Dually! Red (Has custom Orange Wrap) over Gray, Cummins 5.9L High-Output Turbodiesel; Transmission: 4-Speed Automatic transmission, Custom bumpers, Lightbar, Bedliner, Fuel wheels, Gooseneck tow package, Keyless entry with remote start and more! Just inspected and serviced! Great condition! Free 90 day 3000 mile warranty at $27,995!